Jan Howell (now Venerable Tarpa) wrote this during Vajrasattva retreat at Sravasti Abbey, winter 2006. May the meaning of these words light a flame of joy. Just as The Three Principals instruct. like Lama Tsongkhapa and the Lamrim Chenmo. Golden and resplendent in afternoon’s warm sun display. Each stem a moment of kindness alight with the Lamp of the Dharma. Perennially through the seasons and centuries. Kindnesses carefully cultivated for other’s benefit each day. 84,000 stars in constellation array. Aglow penetrating the darkness, illuminating the Buddhadharma path. All pervasive, enduring, and vast. So yes, yes. Steady your gaze at Sravasti and look within. 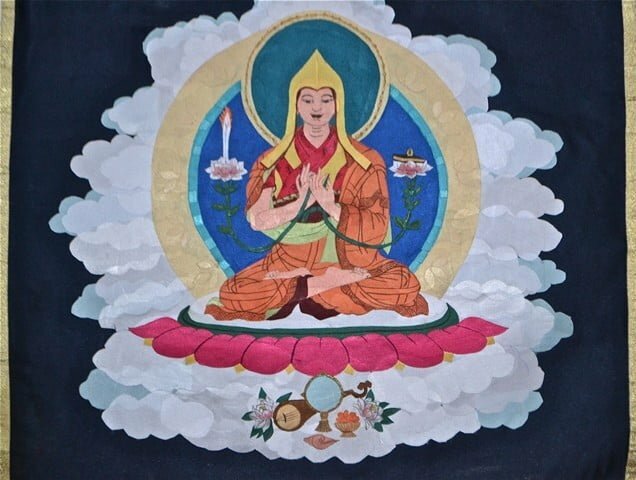 Victorious Lama Tsongkhapa is here !